Last weekend, I had a get together with some of my closest friends to usher in my 40th birthday. I thought it would be fun to put a microphone in the middle of all of us to capture all of our mom talk. We sat on the couch chatting about various family related questions until late in the night. At first they weren’t so sure they liked the idea. They have listened to the podcast and worried about revealing too much about their families. I get it! But I assured them these were light questions, meant to be fun. And I thought it was fun! Our microphone was my iphone voice recorder for this mom talk. It is pretty decent, but because there were so many of us, those that were further away are harder to hear. So you might hear me repeat what she is saying when I could. And I hope you can hear all of the fun conversation we have. When I played it back I found that it wasn’t that bad. But just know that in the beginning, there are a few more quiet parts. And you’ll hear me fidget with the recorder in my hands too. But I promise it is worth the listen! 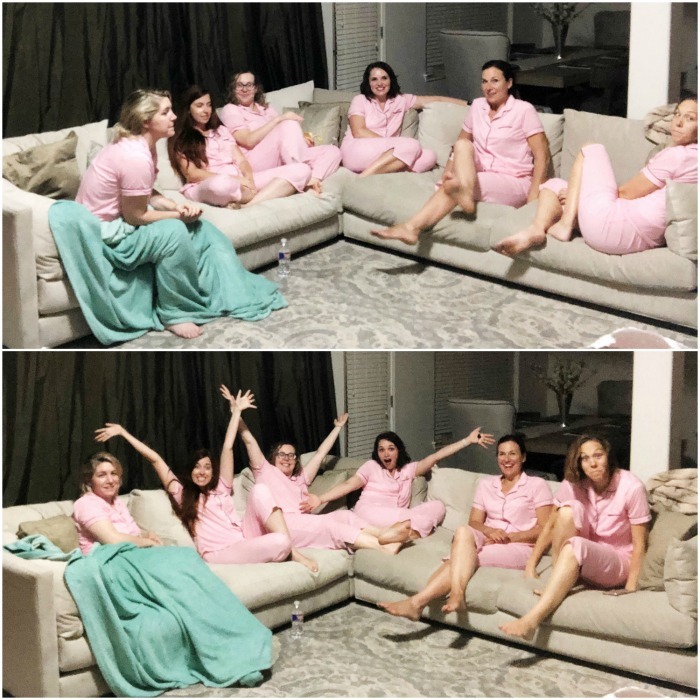 Head over to the full show notes on my website KristenDuke.com to see us in our pink pajamas, and how we were sitting/arranged on the couch as we talked about these topics. We talked about favorite games, favorite meals, funny mom moments, things we DON’T do as a mom, what we hope our kids don’t get into, what we’d do with no responsibility for a few days, dream family vacations, and some mom truths.